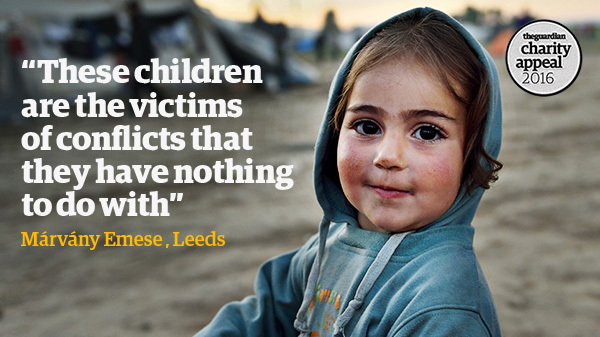 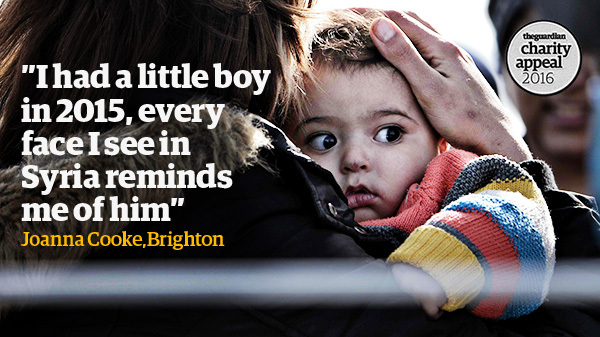 This Christmas, we’re raising money for charities to help child refugees survive the winter. 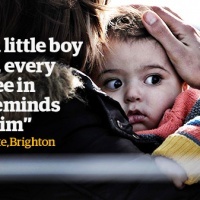 Record numbers of children have drowned in the Mediterranean and more than 90,000 children have travelled alone, fleeing war and destitution across Europe. 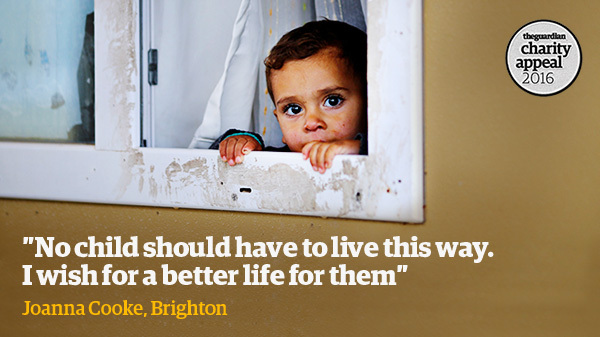 The political solutions to the refugee crisis may be complex, but that doesn’t mean we should abandon our humanity. 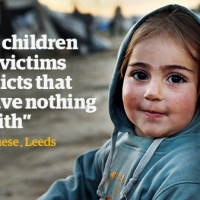 Follow the link in our bio to help the cause. 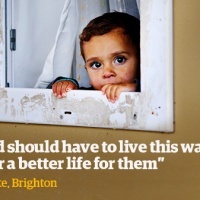 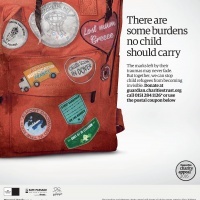 The Guardian and The Observer has launched their Christmas charity appeal to raise money for child refugees. 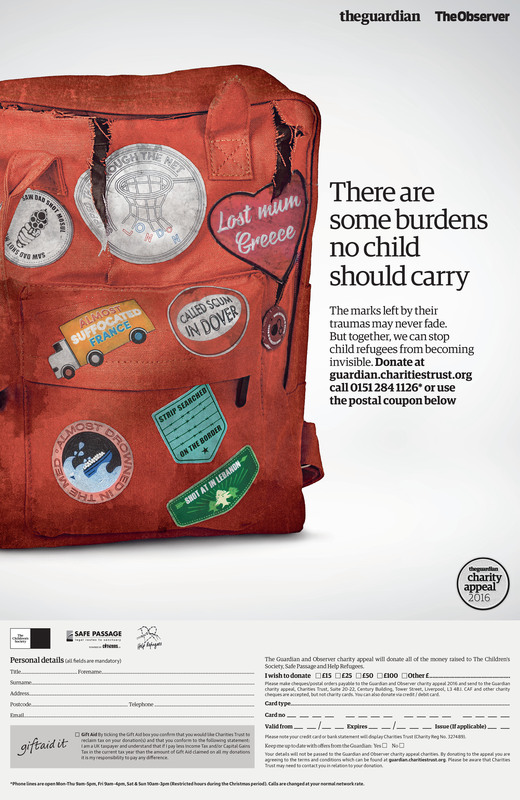 For a second year in the row the publications have chosen to align with this cause, but this time around their focus is on children who are particularly vulnerable at this cold time of the year. 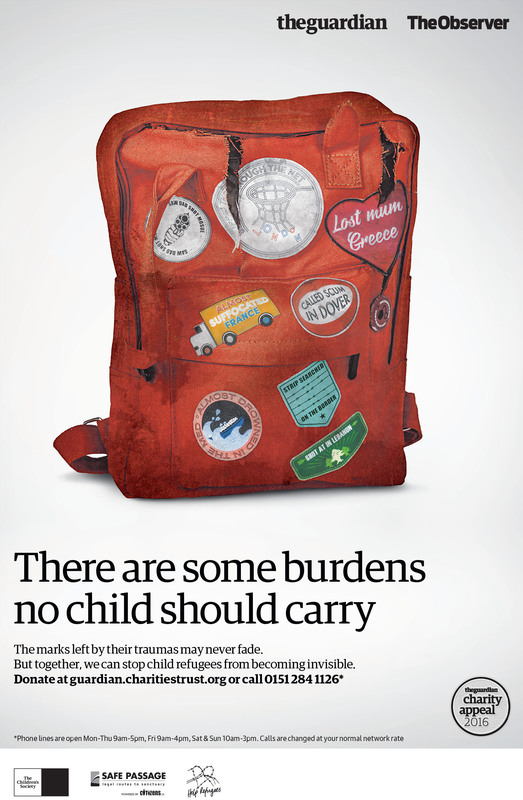 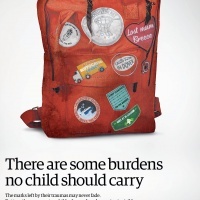 Promotion that surrounds the fundraising campaign uses imagery of tattered school bags and badges with poignant messages, that remind us of some of the burdens these helpless children have to carry.